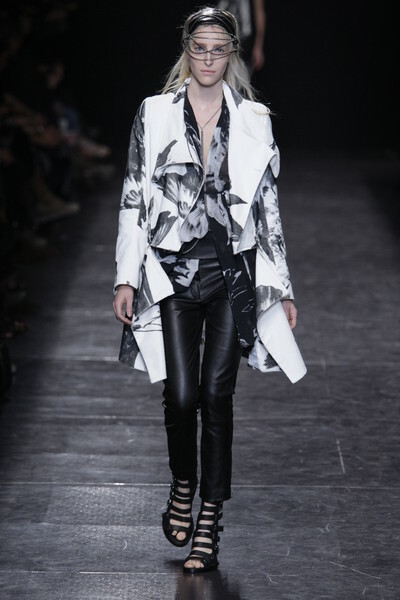 About the designer(s): Ann Demeulemeester (1959) was born in Belgium. 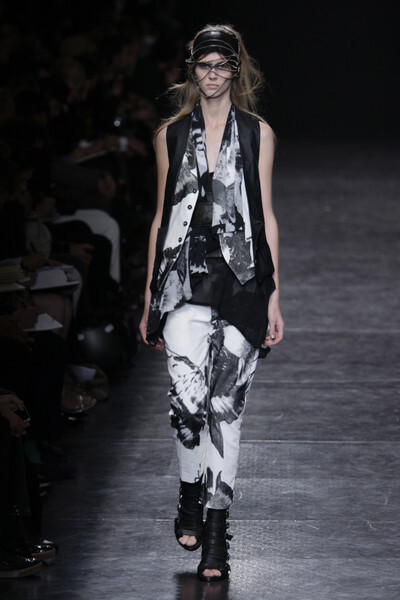 She studied at the Royal academy of fine arts in Antwerp and graduated in 1981. She is now a world-renowned fashion designer. She is married to fashion photographer Patrick Robyn. Breakthrough: 1986; Ann Demeulemeester then shows her collection in London. She quickly become famous outside of Belgium. 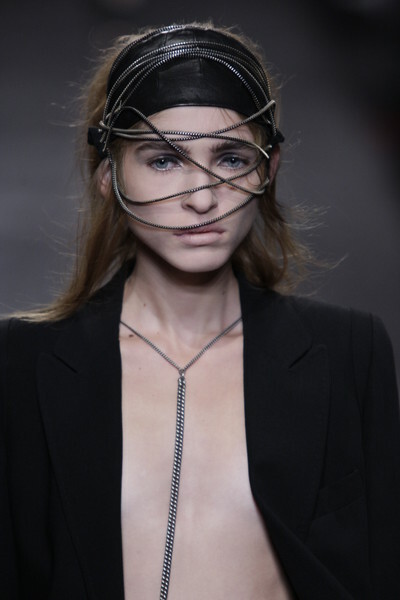 Ann is seen as one of the ‘Antwerpse zes’, a group of influential fashion designers who graduated at the Royal Academy of Antwerp in the eighties (including Dries van Noten en Walter van Beirendonck). 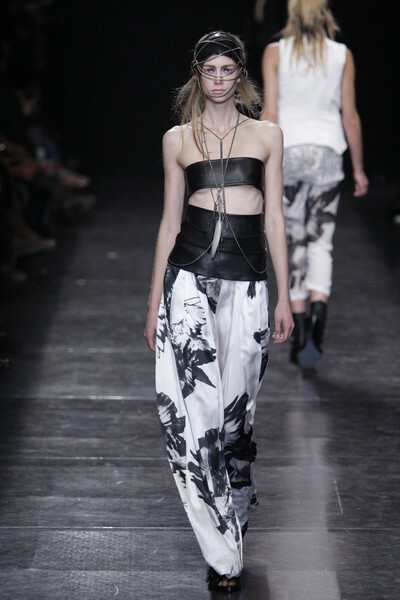 The Ann Demeulemeester woman: is not a specific type of woman. Ann said: ‘People can mix and match and adjust the clothes to fit into their lives. I don’t know exactly who will end up wearing my clothes. It’s like creating a present for an anonymous person.’ Ann does say the women she designs for have a strong personality. The clothes are: never ‘trendy’, their focus is on shape and structure. Ann designs with her feelings and uses lots of black in her clothes. Type of clothes: outspoken, original, comfortable. Ann has been designing jewellery and furniture as well. She even won some prices with that. Since 1996 Ann also designs men’s clothes. Ann and her husband Patrick have been together since Ann was seventeen. 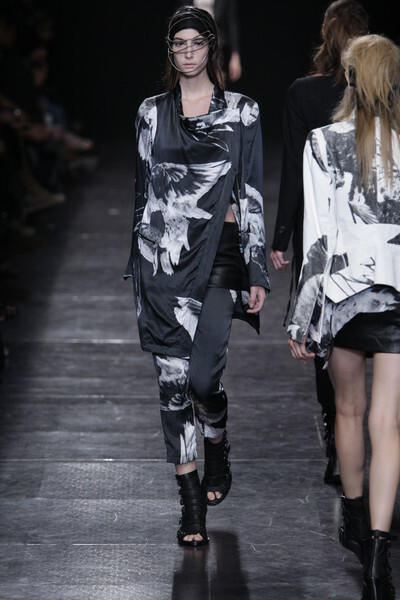 Regardless of the financial crise Ann Demeulemeester has sold more than ever. Especially Ann’s laced up boots were a bit hit.